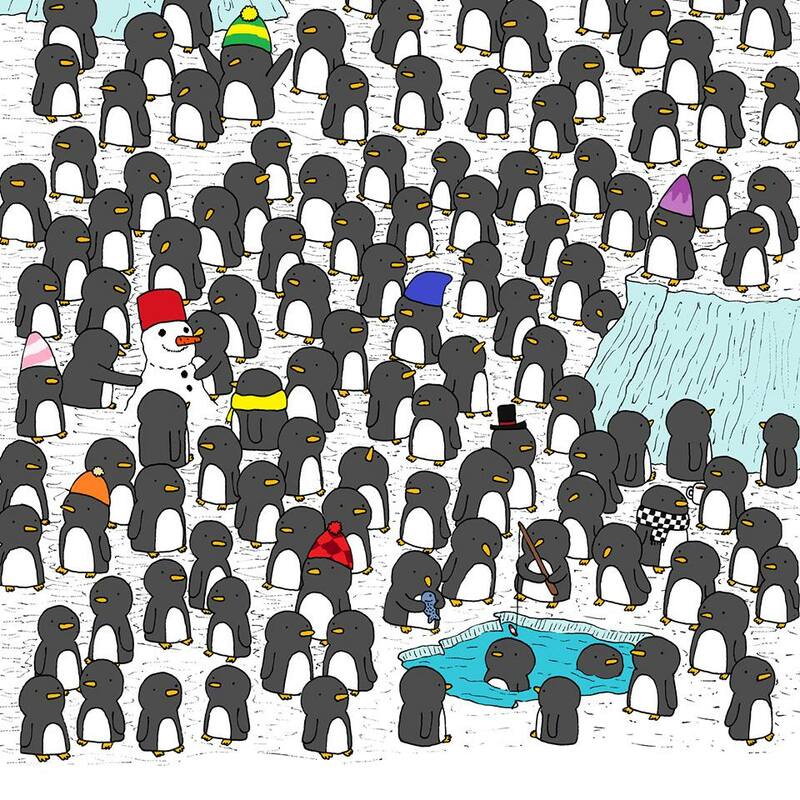 One of these penguins is holding a coffee mug. See if you can find it. When the bluebird of bitterness was hatched back in 2011, no one dreamed that we’d still be here eight years later, primarily because no one had any idea that we existed. Well, the joke’s on them, because we’re still here! …and then we couldn’t agree on what type of party to have. Fanny and Fifi wanted to have a fancy dress ball. Murray wanted a murder mystery party. He saw one on TV once and he thought it sounded like fun. Laverne and Eulalia said that was the stupidest idea they’d ever heard. Penelope suggested a wine tasting party, but since we only drink Bluebird Bitter™ around here, that suggestion went nowhere. In the end, Bob told Ada, Hannah, Eve, and Nan to handle it. Hannah hired the photographer. Her friend Laticia tipped her off that this guy would work for peanuts. Ada ordered the flowers. Her friend Charlene recommended this florist because — according to Charlene — he has great taste. And she was right! All the floral arrangements tasted great! As usual, Vinnie offered to help. …and Cousin Chester flew in from Cambridge! A grand time was had by all…even Otto and Bob! Here’s to another year of high-flying featherbrained fun! SAN JOSE, CA—Unable to completely dismiss his doubt over his partner’s motives, a male North American black-billed magpie admitted Monday his concerns that his mate was only interested in him for the vast collection of shiny objects lining his nest. “I invited her over to the tree to chill, but she spent more time fondling my disco ball keychain than talking to me,” said the bird, who reluctantly answered his beloved’s increasingly detailed questions about how he amassed so many foil gum wrappers. At press time, the magpie, who, like all corvids, is intelligent enough to perform rudimentary counting, was “fairly sure” his stash of glittery hair ties had been dwindling recently.